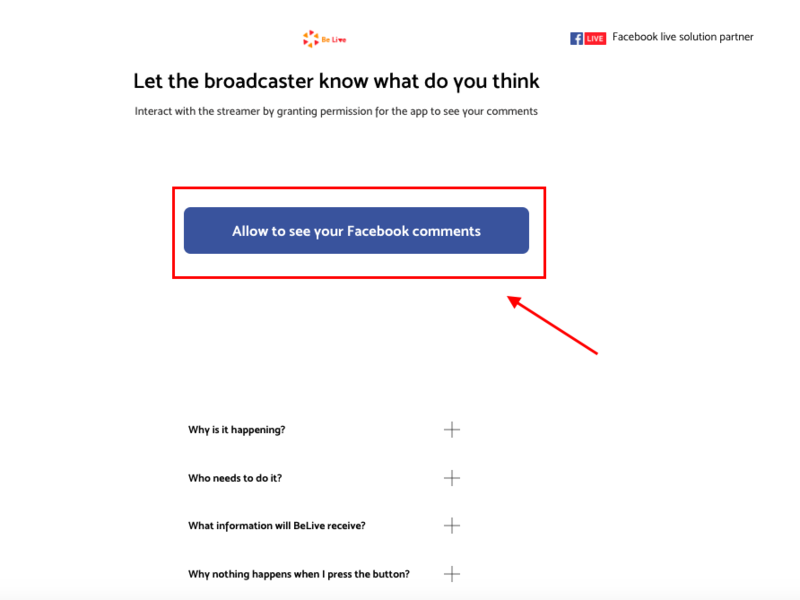 As you've probably heard, Facebook changed the rules of the game, and due to these restrictions, we cannot access names and profile pictures of the viewers who comment, as well as their reactions to your broadcast when broadcasting to a group. You must be wondering if there are any workarounds. Good news! 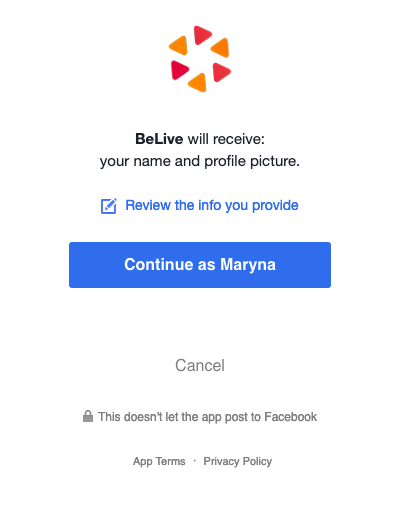 If you want your viewers to interact on your broadcast, simply send them this link https://faq.belive.tv/comments-issue to allow BeLive access their profile. How do things look like on the viewer's side? Once they’ve granted permissions, all their future comments will be personalized and shown under their Facebook name! BTW, your viewers can choose specific groups only where their comments will not appear as anonymous. 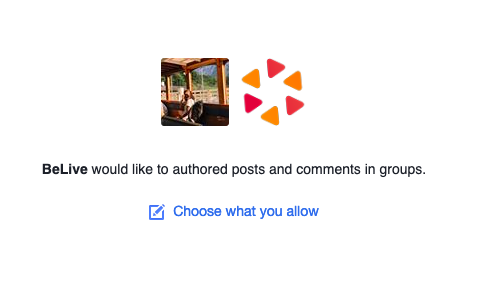 The needed popup appears after pressing "Choose what you allow." How do things look like on your side? No worries if your guests are getting a blank window! This only means that they've already granted access. It's a one-time procedure, no need to do that each time before your broadcast begins. You can add this link to the description when creating your broadcast so that everyone is familiar with the workaround! Should you have any more questions, we're always here for you!